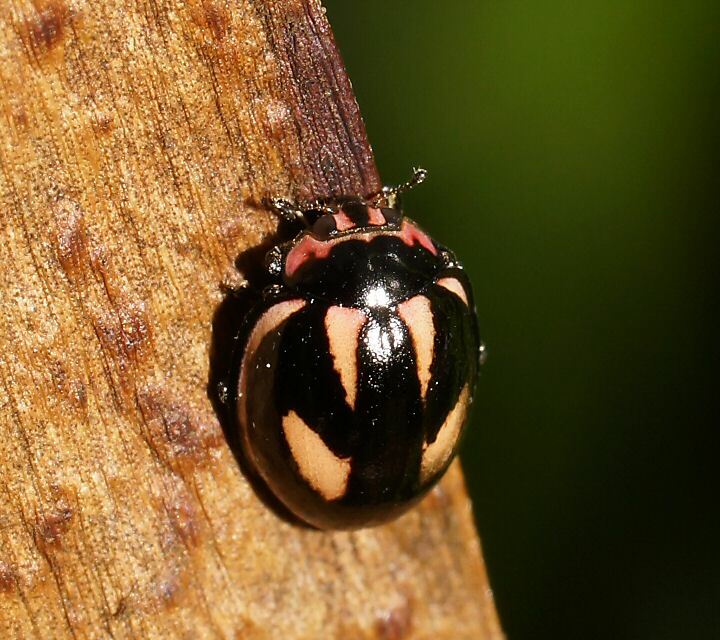 04 Recording more of the recently rediscovered Micraspis flavovittata ladybird beetle quite late in the insect season. 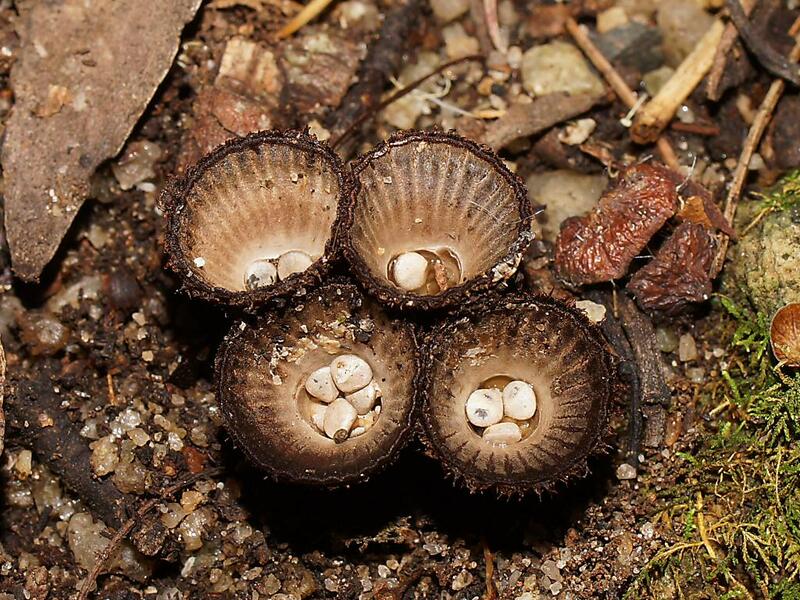 12 Seeing the Cyathus striatus bird's next fungus for the first time (after being reminded by this Bowerbird post. 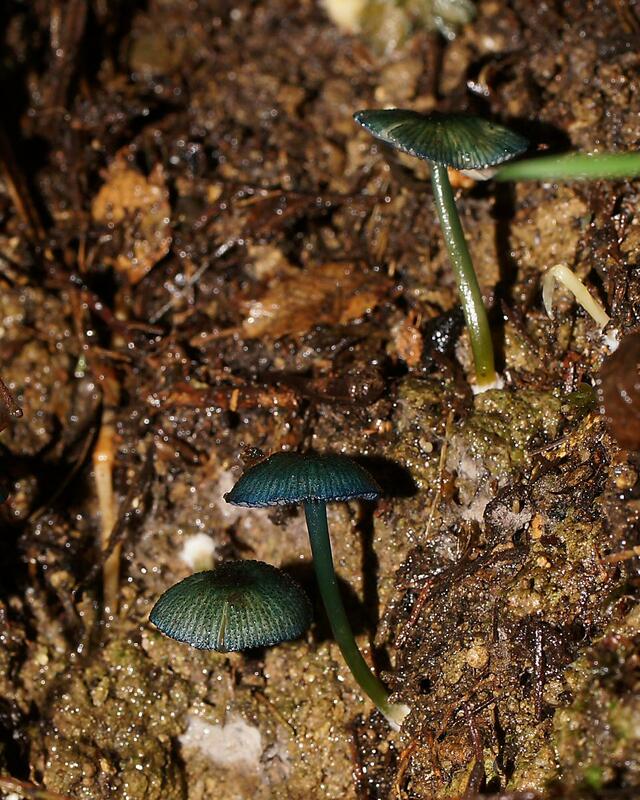 26 Seeing several interesting fungi including Hygrocybe graminicolor for the first time (my first green Hygrocybe and Entoloma viridomarginatus (a cool, blue-green toadstool) — I like fungi with interesting colors and shapes. 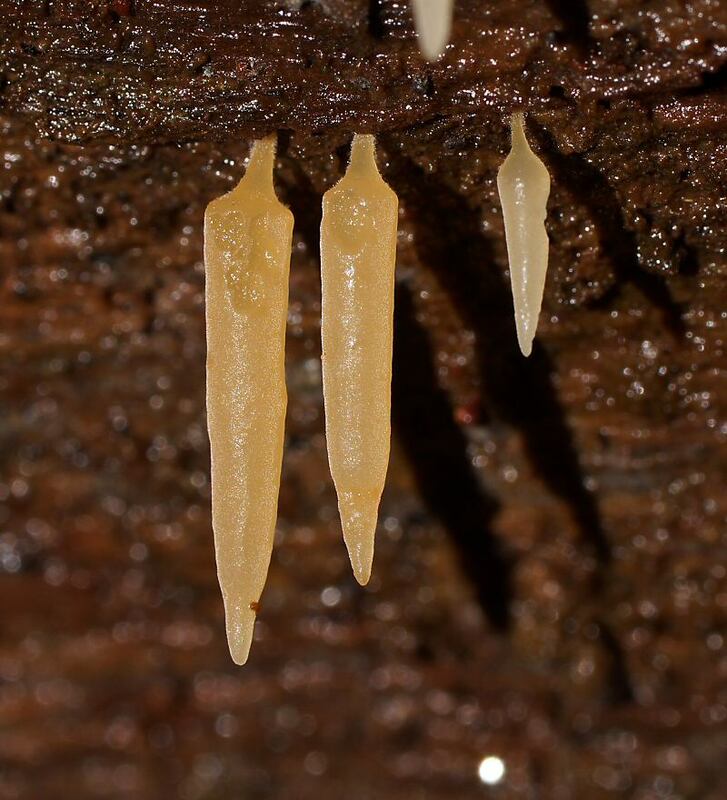 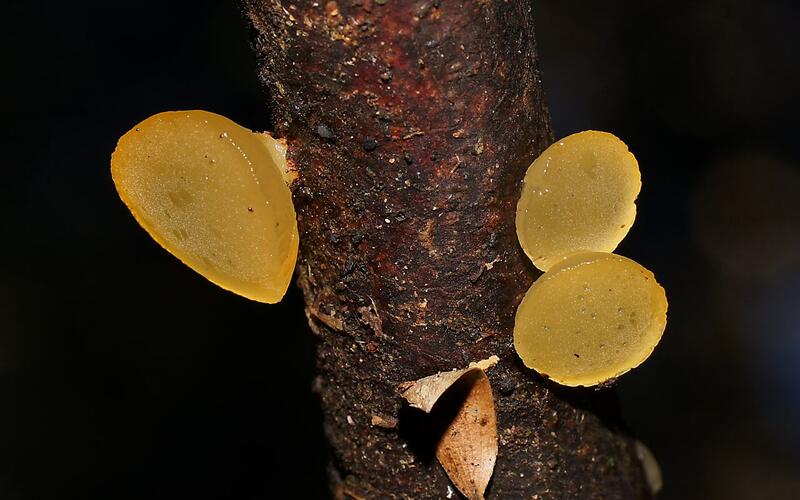 30 Finding the large jelly-bell Heterotextus miltinus in excellent condition and lots of the icicle fungus Mucronella pendula on Mount donna Buang.